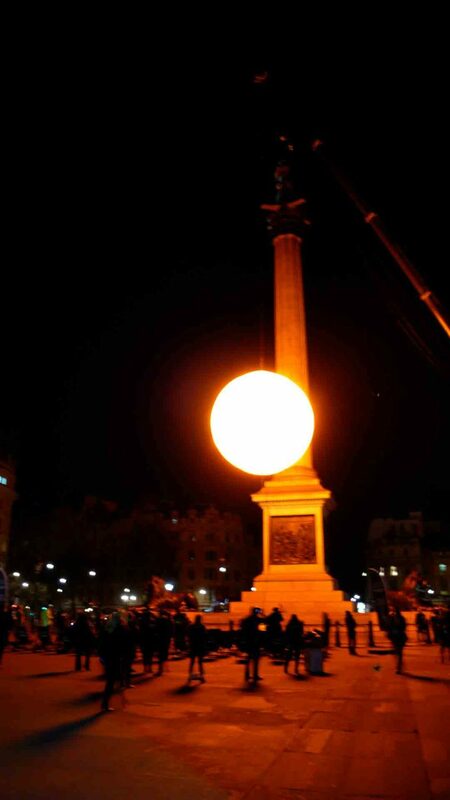 When we were initially approached by a group of artists to create a corporate sponsored artwork to be inflated in a densely populated urban space we had no idea that we would make a huge cold air filled inflatable sphere to represent the sun and that it would be suspended by a crane next to Nelson’s Column in Trafalgar Square. It was a huge challenge but that’s exactly what we did! We worked very closely with the artist collective Greyworld and the results were magnificent. Greyworld had been commissioned by Tropicana to bring a little sunshine to the people of London. 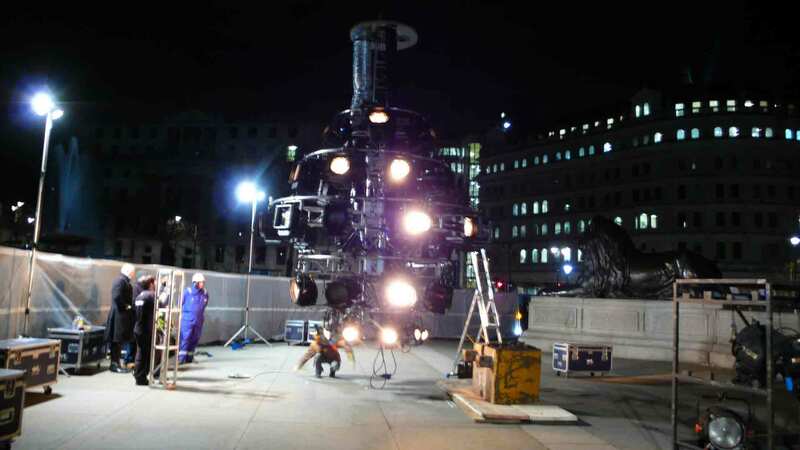 To do that they needed us to put 2500 kgs of light inside a 7 meter diameter yellow inflatable sphere! 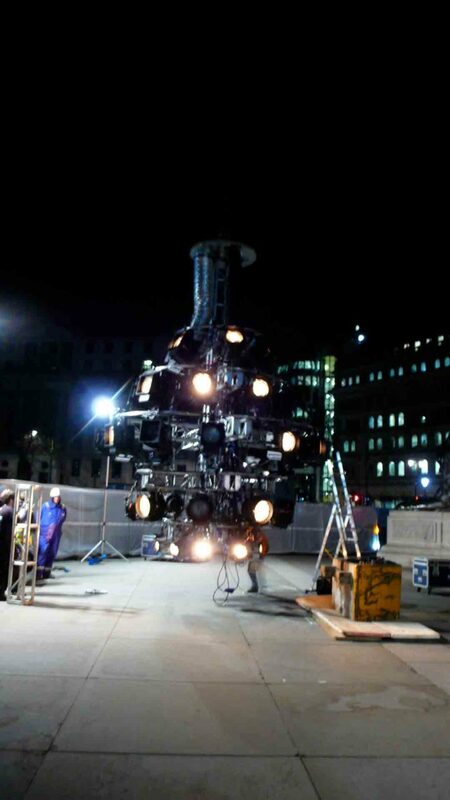 First we made a 3 meter diameter cold air filled sphere so they could experiment with the lighting and get an idea of the size and output of the air blown fan we use to continuously cold air fill the inflatable sphere. 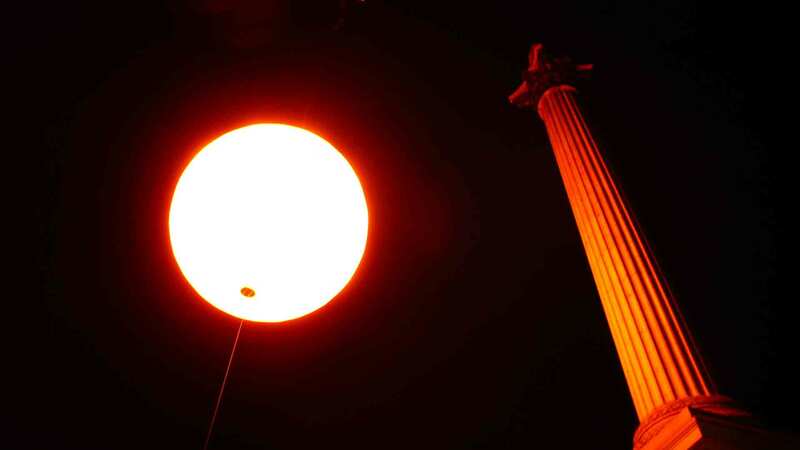 When they measured the heat escaping through the suspension hole at the top of the balloon it was 100º centigrade! We realised that we would need to keep the giant inflatable Sun cool somehow. 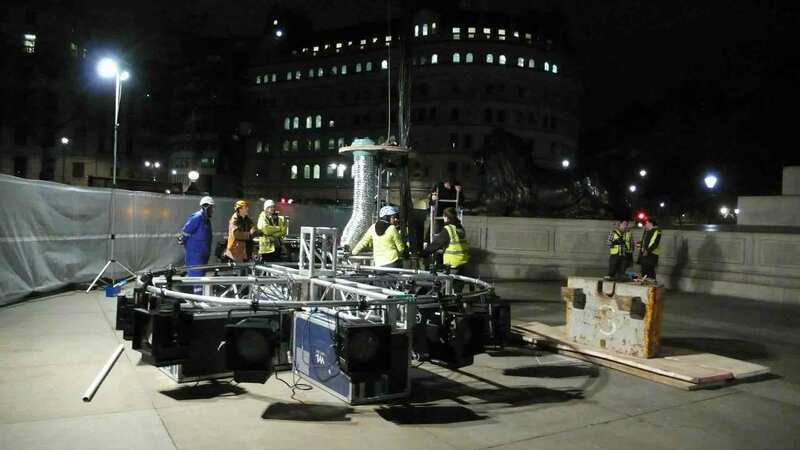 We managed to fit an additional fan into the sphere specifically to help exhaust the heat generated by the colossal internal lighting system. 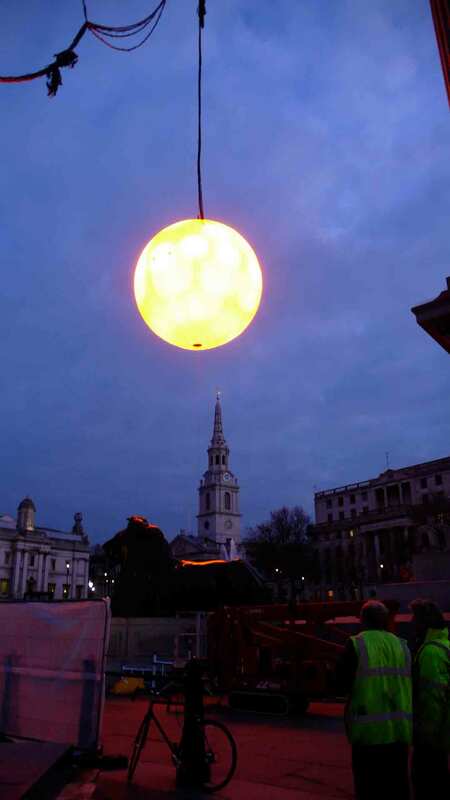 Using the equivalent to 60,000 light bulbs our Sun pumped out an incredible 4 million lumens! 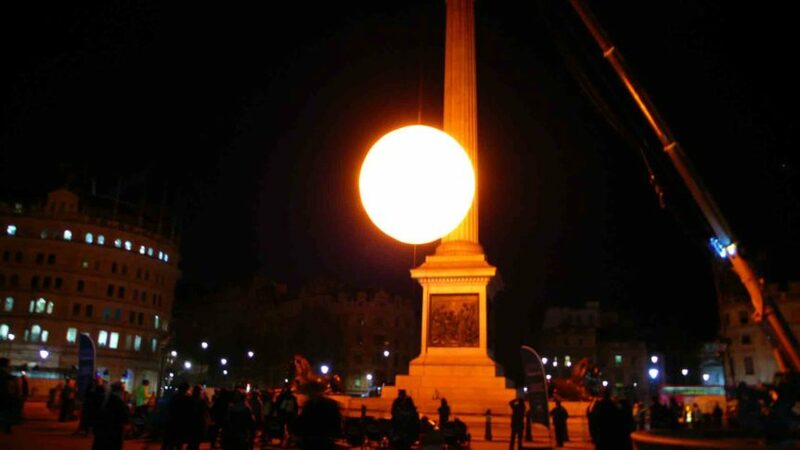 ABC Inflatables assisted in the very early Monday morning installation of the Sun at Trafalgar Square. It was incredibly uplifting to watch the faces of passers by and see our giant inflatable brighten everybody’s day. 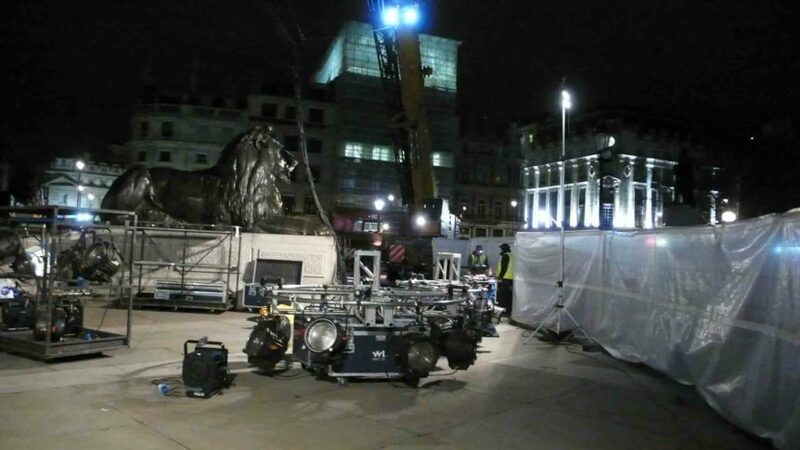 It was quite a spectacle on what would otherwise have been a normal dark and dreary winters morning in London Town!